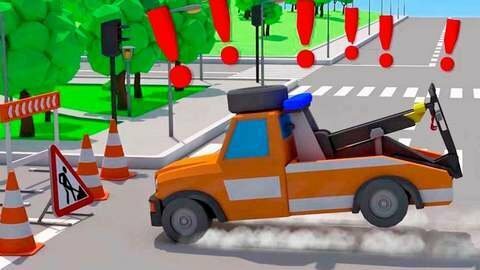 In this episode of 3D cartoon about cars Evacuator drops a wheel, and it jumped to the top of a tree! Evacuator cannot reach it by its own, so it asks Fire Truck to help. Watch all full episodes at SeeZisKids!